Kathmandu: A foreign lady come to Nepal for media research four years back had asked me, “Why is there negligible participation of women in the programme?” Attending the programme having two or three women journalists, it was natural for her to wonder. I did not mull, but replied immediately that the number of female journalists was very little compared to the male ones- there were only 10 percent women among the total number of some 12,000 journalists in Nepal. 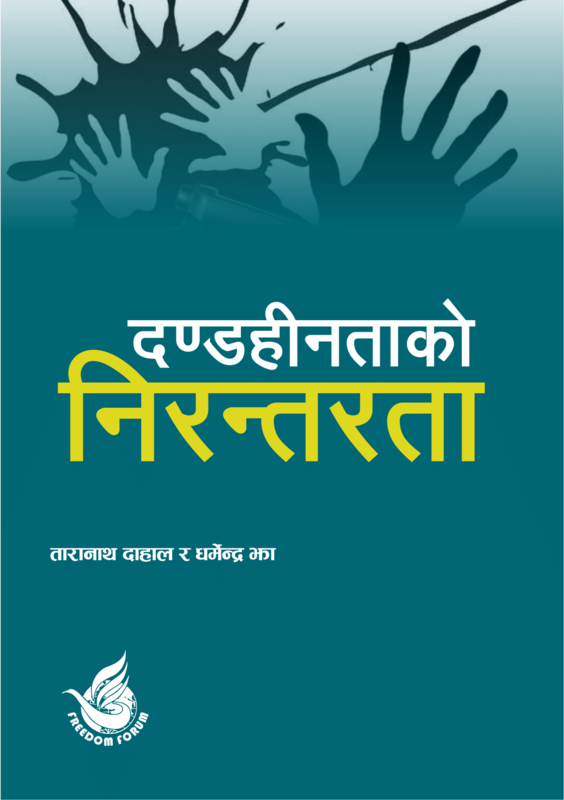 Although the negligible number of women in Nepali media is not a big wonder in the sense that most of the sectors including national politics, bureaucracy, security, private offices, and NGOs in Nepal are dominated by male ones, why women are not encouraged and retained in media is pressing questions for long. Views differ from one editor to another when they are inquired about the presence of women in their media. According to an editor at the Kantipur daily, Hari Bahadur Thapa, an average stay of Nepali woman in media is five year. Similarly, executive editor at Naya Patrika daily, Umesh Chauhan argues that the state of gender balance in media house is the reflection of entire political and social construct of the country. Many argue that journalism should not be limited to study- but pursued with passion. And, the passion in women to pursue this profession faces numerous obstacles including family, social and economic. Equal payment is limited to words. A male journalist gets more payment than the female, argue female journalists, pointing out the need of changing perspective towards women. In this regard, Chairman of Nepal Bar Association, Sher Bahadur KC observed that the foundation itself is not clear and pure that encourages women to work, and claim equal payment as stipulated by the laws. He also shared the similar problem that the legal sector also faces in case of maintaining gender equality. During a programme Freedom Forum organized in the capital city this Friday, Mr KC urged the State to bring more friendly policies that attract and retain women to Nepali media, so that the advocacy of change become more vibrant. “More number of women in media would not only boost their professionalism, but also encourage other sectors to bring women on board,” he underscored. At the same programme, a report Freedom Forum prepared by scanning the byline and news sources for the last three months-January to March 2017, was unveiled which painted women’s presence dismal. The presence of women in news byline and sources were studied in a total of 1,080 stories from the nine national dailies- Kantipur, Kathmandu Post, Annapurna Post, The Himalayan Times, Nagarik, Republica, Gorkhapatra, The Rising Nepal, and Naya Patrika. According to the study report, 92 percent bylines read male names while 8 percent of females. Similarly, 90 percent quotes were taken from male sources, while the remaining from the female. When such report was shared before the editors, their common argument was: We’re very positive towards increasing women’s participation in the media. But, the market is so small that we get few women having keen interest and passion to work in media. We encourage them, but they don’t continue for the years a male colleague does due to their family problem. The family problem they were indicating that a woman has less chance of joining media after marriage and child birth. Durga Karki, a long time radio journalist opined that one of the reasons behind less number of women’s quotes in Nepal media was that women generally did not want to take risk of sharing news, while male ones for many times themselves became proactive and shared the information to media. For the payment, the Working Journalists Act has clearly mentioned about the payment and facilities to the journalists, disregarding the gender. Similarly, the Minimum Wage Fixation Committee has been prodding the media houses time and again to pay minimum wage to journalists. Gender balance is certain to be a longtime advocacy issue in Nepal. Slowly and gradually, the views surfaced on women’s presence in media, engagement of editors on this point and the subsequent debates would help create the atmosphere more conducive to the women in Nepali media.